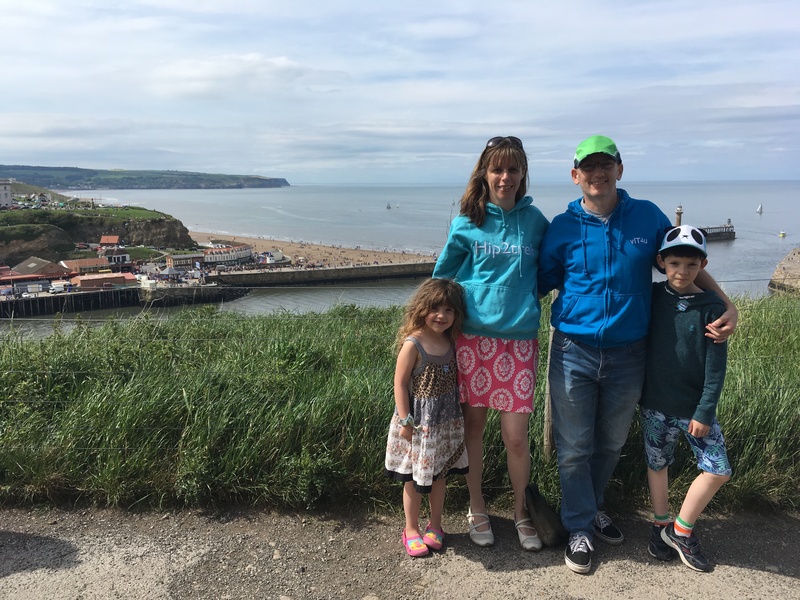 We recently visited Whitby on Yorkshire’s east coast as the kids are always asking to go to the seaside. It was also a chance for me to test out my new-to-me car and stretch its legs! I’ve come back down to earth after my China trek. The pressure is off to get lots of miles in and it is nice to just wander around. 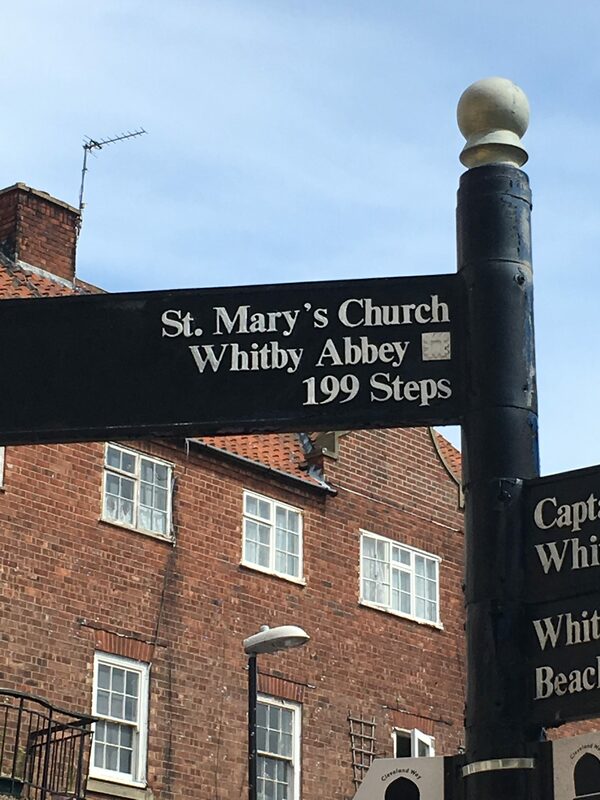 We’ve visited Whitby a few times but pre-hip surgery I had never been able to walk up all the steps to the Abbey. 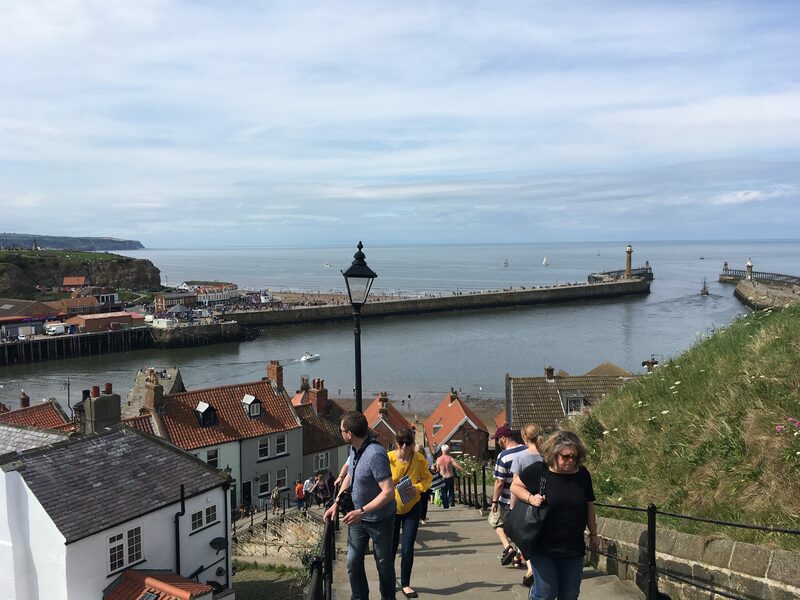 Whitby is always very popular and busy with visitors and where we usually park was packed solid. The weather had been lovely luring more people to the beach. I followed the signs for the parking on Abbey hill and luckily found a space in the field section of the vast car park. 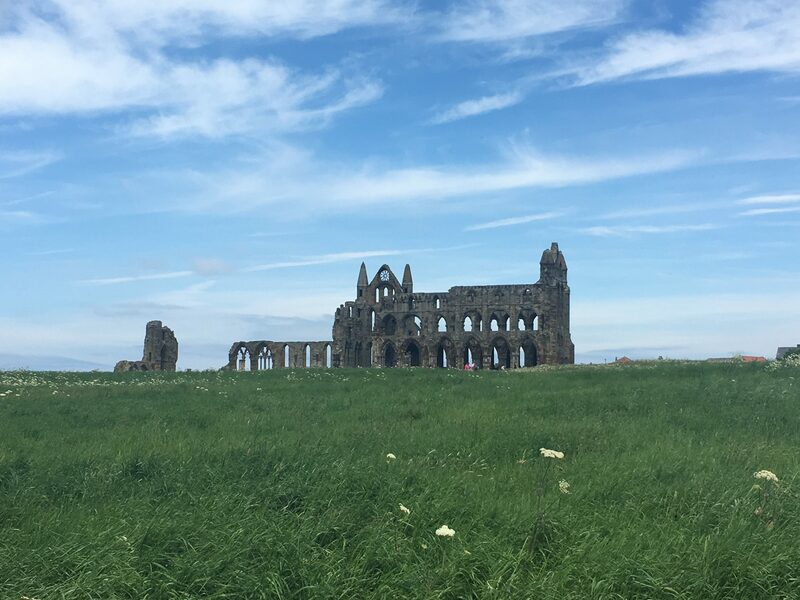 Whitby Abbey is an English Heritage site and the famous ruin is said to have been the inspiration for Bram Stoker’s ‘Dracula’. We didn’t go into the grounds but took a small path from the car park down the hill. I joked with the kids about Dracula and bat spotting but we didn’t see any as we walked down the side of the Abbey and into the town. 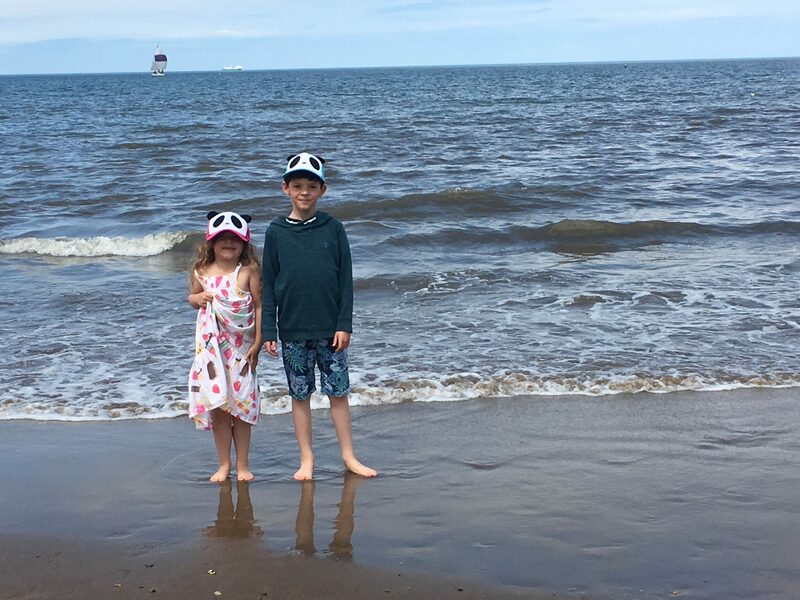 We had a great time on the beach, the kids mission was to go wave jumping and paddling in the sea. We had packed spare clothes and a towel and my son saw this as permission to get absolutely soaked! The weather had been warm but with a bit of a breeze we still had jumpers on and the sea as always was freezing. The kids didn’t mind and we watched from the shore at feet dry distance. We had forgotten our waterproof backed picnic rug so huddled on a towel sat on plastic bags with our picnic, me and hubby thinking the other had packed it in the car! Oh well. Next time I’m hiring deckchairs. All too soon it was time to pack up with a quick wander around the shops, stopping for a look around the Lifeboat station, and then up the 199 steps back up to the Abbey. Having walked thousands of steps in China these were a breeze and I nearly ran up them with cries of ‘Mummy walks too fast now’ from my youngest! I love Whitby but I think we don’t do it justice when we visit, we always stick to the same bits we know. 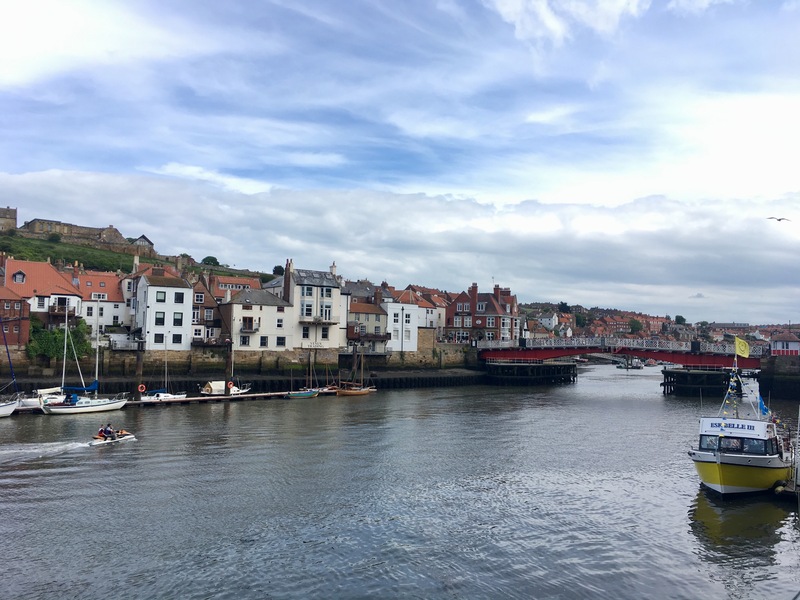 We would love to discover more about Whitby so if you have any ‘must see places’ or any tips please let me know. I saw when we came back that you can even go whale watching from there! 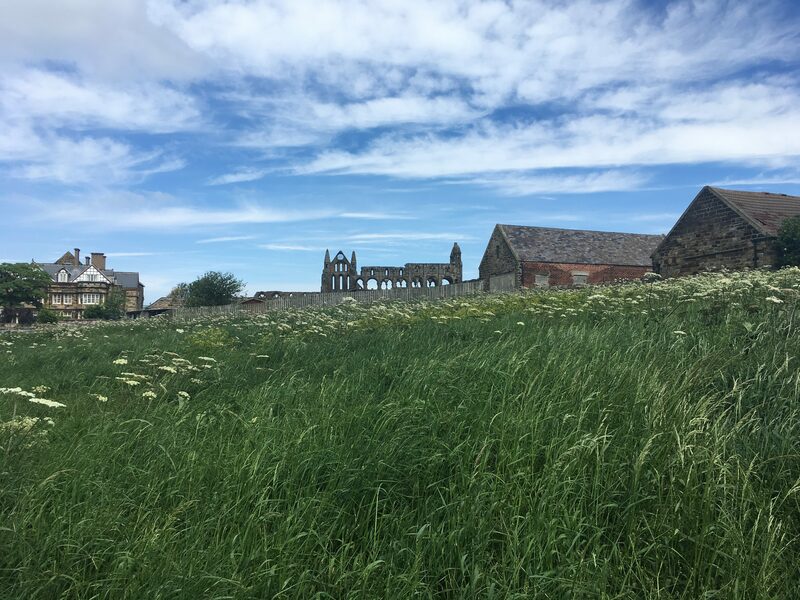 We parked at the Abbey Hill car park – the pay and display machine didn’t take the new pound coin when we visited (May/June ’17) and was having trouble with cards. We used the parking app advertised on the side of the machine with no problems. Don’t forget to check the tide times before you visit! At least they had a parking app! We went somewhere recently that couldn’t take new £5 notes or new pound coins and the card machine wasn’t working. But they still expected you to find a way to buy a ticket…! Oh no that’s frustrating! I think I might have cried if the app hadn’t worked. It’s a lovely place and worth a visit. Thanks for popping by! Thank you! Hope you get to visit one day it is lovely. Thank you for reading. Your trip to Whitby sounds lovely and the outdoor theatre sounds great, I’ll have to keep my eyes peeled for more events like that. There’s lots of great things to do in Yorkshire if you ever get to come and visit! Thank you for reading and I’m glad you liked the photos. I’ve never been to Whitby but I have certainly heard of it. Lovely to see your photos and gain an idea of the town. 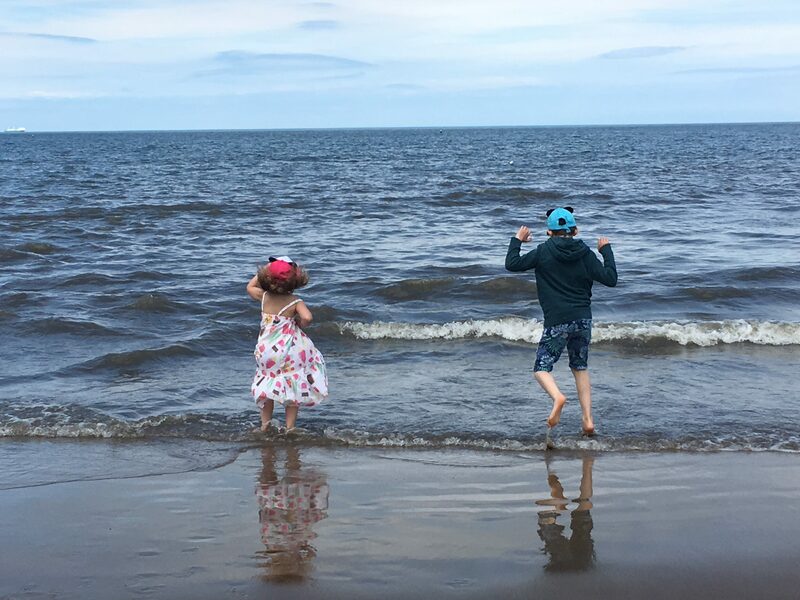 A seaside place is always a favourite with kids, add in some quirky shops and that lovely Abbey and you have a great day out. Sounds like the steps were no issue to you too which must be great. I’ve a whole new world to discover now the steps don’t stop me! It was a great day out and we’ll hopefully visit again this summer. Thanks for reading! 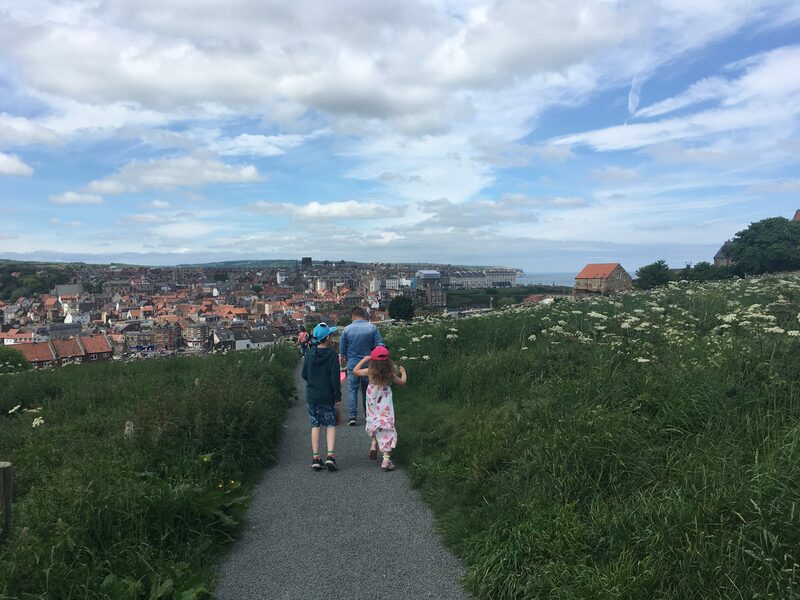 It’s a great day out and there’s lots in the surrounding area if you ever get to spend a weekend on the Yorkshire coast.